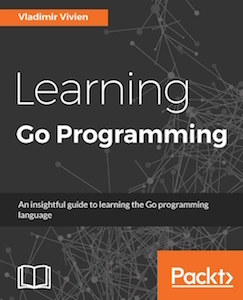 This is the companion git repository to the Packt Publishing book Learning Go Programming by Vladimir Vivien. The repository contains the source code files for all examples discussed in the book. The intent is to maintain the source code as a living portion of the text. You can file an issue with letting the author know about a mistake you found in the book or in the source files. Or, come here to pull (download) updates to the code.